You can shred, string, "Krinkle Kut," julienne, grate and slice with the Redco� King Kutter,� the most versatile non-motorized food processor in the industry. 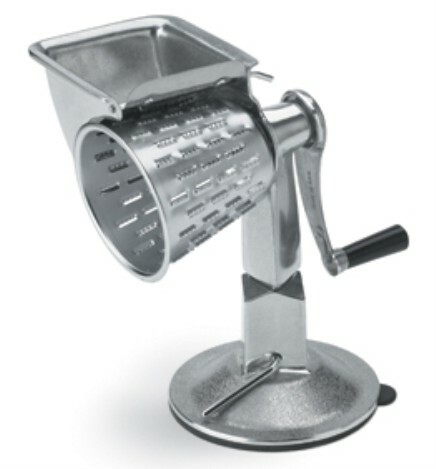 The Redco� King Kutter� shreds cheese and lettuce for tacos, salads and much more. For parts information, please refer to the user manual for this product. Shred, string, krinkle-cut, julienne, grate and slice a wide variety of foods - may be the most versatile processor in the kitchen|Easy manual operation with none of the maintenance, electrical issues or cost associated with powered units|All cones feature a finely machined, precision stainless steel edge easily changed for fast-cycle processing of foods|2 year warranty. Vollrath warranty does not cover blades.